Turn your interest in computers into a rewarding professional career with this nationally recognised Bachelor of Engineering (Computer Systems) Honours course from Edith Cowan University. Use your skills to source the electricity that powers our world with this Bachelor of Engineering (Electrical and Renewable Energy) Honours course from Edith Cowan University. 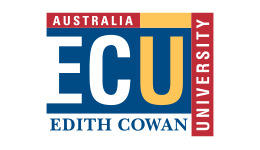 An exciting career designing, maintaining and developing turbo-charged engines, generators and oil rigs starts with this Bachelor of Engineering (Marine and Offshore Engineering) Honours course from Edith Cowan University.